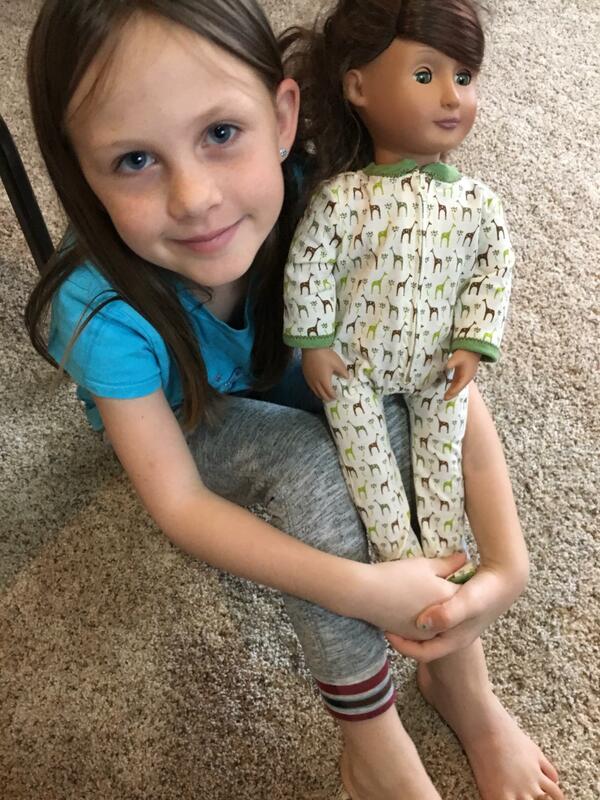 Kids of all sizes love snuggling up in a pair of cozy, footed pajamas ... including the 18-inch variety! Also known as a blanket sleeper, these PJs are stretchy and form-fitting. Suitable only for knits, they can be made of a variety of weights and textures, from thick and furry fleece to thinner, lightweight fabrics. You could even recycle your favorite t-shirts! Options for the collar and cuff in this PDF pattern include using the same fabric as the body or a contrasting fabric. For a realistic touch, try using textured fabric for the soles. (You wouldn't want your doll to slip!) Fairly simple in construction, these jammies go together quickly for most beginner-level seamstresses who aren't afraid to tackle a zipper. I enjoyed making the pattern. Instructions were detailed and easy to follow. This is well designed and very fun pattern.I was trying to come up with a one-piece pajamas and then saw this pattern and figured why re-invent the wheel. I have found the fit to be quite forgiving as it can stretch to fit or be a little more baggy. Very cute jammies. The pattern was easy to follow and the directions were well written. 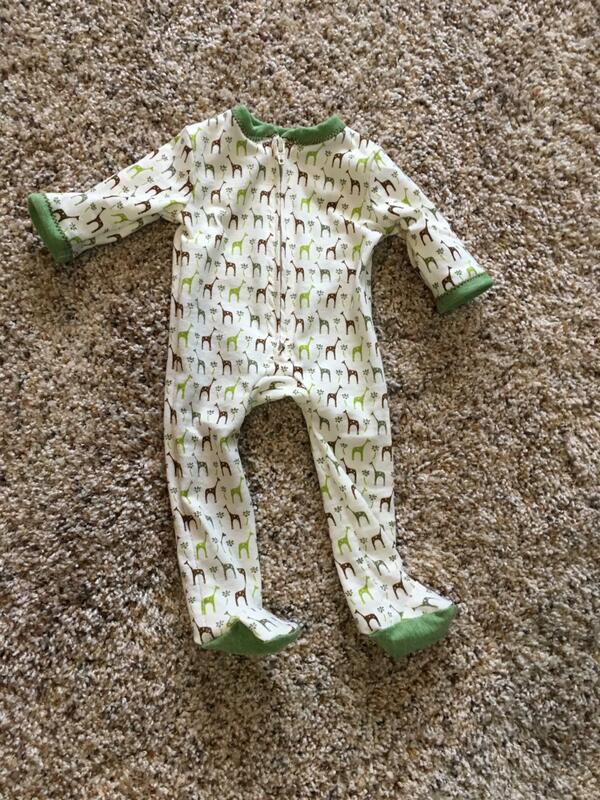 These little jammies turned out really well. I used lightweight 2 way stretch fabric and they fit perfectly. Can't wait to make a second pair. Great pattern.